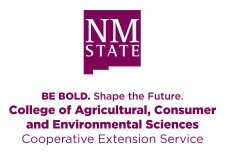 The OFRR is a voluntary service offered by the NMSU-Cooperative Extension Service (CES) and the New Mexico Department of Agriculture (NMDA) to help producers assess their farm operation against the regulations of the Produce Safety Rule (PSR). An Extension agent or NMDA produce safety specialist will walk-through the farm with the farmer to point out any issues with PSR requirements that the farmer can correct. This is not a regulatory inspection. But, it is a tool that farmers can use to make certain that they know and understand the PSR requirements as commodities change over time. To take advantage of the OFRR program, farmers should take the PSA Grower Training course to maximize the value of the OFRR review. See the Upcoming Grower Trainings for the classes that are scheduled in New Mexico. See the contact information below to schedule an OFRR for your farm. If you are an individual with a disability who is in need of an auxiliary aid or service, please contact us at least two weeks prior to the event.